Brian Walker offers a comprehensive overview of the Stormont House Agreement, passed just before Christmas. Although it attracted little comment from the outside world, the Agreement sought to take action on longstanding issues underpinning the recent deadlock. At first sight, apart from coinciding with great festivals of the Christian calendar, the contrast between the Stormont House Agreement negotiated by the Northern Ireland parties two days before Christmas and the historic Good Friday (Belfast) Agreement of 1998 (GFA) could hardly be greater. The GFA brought thirty years of violence to an end and the Assembly into precarious existence. Stormont House passed with little comment from the outside world and even at home. Although the executives of the two main parties the unionist DUP and the republican Sinn Fein endorsed the deal, it is far from clear what exactly has been agreed. True, the threat of breakdown was never far away in the outworking of the GFA. Towards the end of last year rumbles of impending collapse were heard again but this time they lacked conviction. No one has an interest in collapsing the system today. All the same, the need for a basic examination of power sharing had become pressing as relations had soured. With sporadic trouble in the streets and the continuing threat of violence from republican dissidents, the leading parties the DUP and Sinn Fein were torn between their roles as sectarian champions and their responsibilities as partners in government, with the former too often winning out. The all-party consociational form of government the GFA introduced had indeed been successful in locking opposite political poles together. The big question for the negotiations at Stormont House, a residence for UK ministers, was whether the system could allow for breakout from the communal constraints to produce something closer to “normal” government for a “normal” society. So after weeks of talking about an extending agenda of deadlock, the parties seem to have felt they could not afford to walk away with nothing. Can Scotland trust Westminster to transfer enough powers to seal it for a No result? Brian Walker explores whether the pro-Union parties can offer enough devolution to persuade voters Scotland will be given priority if they vote No. On September 18 voters in Scotland will take a momentous decision based on two sets of uncertainty: on independence which is on the ballot paper and on more devolution which is not. A recent survey by the British Election Study suggests 74% of voters want some or a lot more devolution. Only 35% of them are Yes supporters. 57% of No voters actually want more devolution and 50% of all voters believe it will happen if No wins. This is a rising tide the pro-Union parties are desperate to harness. All the mainstream pro-UK parties believe in further devolution, so whilst we would want to build consensus for a set of measures and legislation, there is no reason why these changes shouldn’t happen early in the next Parliament. In early July Purvis joined representatives of the other two parties, Anas Sarwar MP, Deputy Leader of Scottish Labour and member of the party’s Devolution Commission and Peter Duncan, a communications consultant and former Scottish Conservative MP, for an Institute for Government debate: Scotland in a changing UK: Unionist visions for further devolution after the referendum. Is the impression of chiming pro-union agreement justified? In the latest of a series of British Association/Royal Society of Edinburgh seminars, the question was debated in sparkling style by a stellar panel of Vernon Bogdanor John Curtice, Michael Keating and Adam Tomkins. This summary requires no additional commentary. Vernon Bogdanor thought the decision on independence was more momentous than was admitted by either side. Both sides agree that nationhood matters less in a globalised world but they go too far. Separatism can’t be fudged by social union. Nationhood still matters. The EU hasn’t really got a foreign policy and its future shape will probably not be what the founding fathers wanted. Even in the eurozone it really matters in which country you live. There is insufficient analysis of what holds the UK together and we should be extremely grateful to the SNP for raising it. What’s being asked is a primordial question of identity. On identity, John Curtice partly disagreed with Bogdanor. Scots were a nation of dual identity. The referendum is not about how Scottish they feel – everyone does – but how British. Not all “Scottish onlys” are in favour of independence.. Identity does not provide a sufficient guide for how to vote and a No vote may be a conditional vote. This is where the economy is crucial. Scots are no more nor no less keen on independence than they were 10, even 40 years ago. Labour made the mistake of thinking Scots wanted a lovely partnership with London. The SNP realised they really wanted devolved government to defend Scotland’s interest against London. They voted for SNP competence rather than independence. They believe that only foreign affairs and defence are clearly not Edinburgh’s business but opinion in favour of maximum devolution is not widely shared. For example only a third of Scots want different pensions from the English. They don’t want to leave the UK safety net behind. If the vote is No, England is not looking for devolution so a symmetrical Union solution is unlikely. But more taxation powers for Edinburgh could be win:win for both Scots and English as that means Scots would pay for more of their services themselves. Wrangling over the (already contracting) Barnett formula should go away. George Osborne’s veto on currency union flopped in Scotland but seems to have made the English keener on the Union. They are recording 3:1 in favour of Scotland staying in and that independence would not be good for England and Wales either. This means that if there’s a Yes vote the English may strike a tough deal. Michael Keating insisted that “independence” and “ sovereignty” don’t mean want they used to. Even with a No vote, the relationship will be reconfigured in a way not very far from “independence lite.” In Scotland the sovereignty of the Crown or Parliament was never quite established as in in Westminster ; that’s why Scots are quite happy to discuss a divided or multiple sovereignty. It used to be said that welfare and taxation policy were essential to sovereignty. That’s changing. The debates on welfare and independence are linked. The present welfare state is unsustainable. The social compromise in Scotland is mediated differently from England and will probably mean higher taxation. In 10 years’ time there will be more autonomous devolution but probably not full independence. Adam Tomkins delivered a scathing critique of the SNP White Paper “Scotland’s Independence.” It failed to distinguish between institutions ( which would cease to apply to Scotland such as the Bank of England, the BBC, the intelligence service and embassies) and assets which would be fairly apportioned on independence. Apportionment was a highly complex task but doable. He delivered the stark verdict: the SNP’s assumptions are wrong in law and the White Paper is a false prospectus. Final thoughts : Michael Keating thought that after a Yes vote, independence could be negotiated by the May 2016 deadline of the next election to the Scottish Parliament. (The Constitution Unit has doubts). Vernon Bodganor didn’t see how Scottish membership of the EU could be denied. And something must be done for English cities to redress the imbalance of London and central government. There is deep concern in Dublin that a Yes vote would destabilise the power sharing St Andrews Agreement in Northern Ireland. A better articulation is needed of the Union state. John Curtice spoke for the panel consensus. The referendum was the No campaign’s to lose but he didn’t underestimate their capacity for messing it up. How good to see some real debate emerging over Scottish independence at last. But is this happening too late, when the result is all over bar the shouting, with the No vote 20 points ahead, as American polling guru Nate Silver has been telling them at the Edinburgh Festival? Not so with 44 % registering undecided, according to Ipsos Mori. Looking behind the stats, commentators warn against relentless negativity from the Better Together campaign, including Andrew Marr recovering from his stroke, as he nudges the debate wider. The remaining UK would be dealt a tremendous shock and would be much diminished. But according to economic commentator Hamish McRae the loss of the Scots would be made up by population growth in the remaining UK in a couple of decades’ time. How different are Scotland and England already? Listening to the BBC news about politics, education and health and the information gathering that informs policy, I’m struck by the fact so much of it is about England and Wales with Scotland left out and apart ( and Northern Ireland is rarely mentioned). The news reader can’t always go on to say: “And in Scotland…” The News would never end. Try as they might in this asymmetric Union, it’s hard not to equate Britishness with Englishness with no more than a nod in another direction. This is the logic of the present state of separation. Will the gap widen further? In a seminal piece in the Guardian Iain McWhirter argues that even if Scots reject independence next year, greater divergence is inevitable. England is dismantling the traditional welfare state through marketisation of the NHS, welfare caps and free schools, while Scotland retains faith in the monolithic health service, social security and universal comprehensive education. Scotland will likely evolve into a relatively high-tax, high-spend oil-rich Nordic state within the EU, emulating Denmark or Finland. England may seek its own form of independence, probably leaving the EU to become a finance-led market economy with low taxation and diminished social protections. Eventually both sides will realise that these increasingly divergent political cultures should accept their differences and seek a new and looser constitutional arrangement. Alex Massie in the Spectator is unsure, as between McWhirter and the fact based analysis of the eminent polling authority John Curtice and Rachel Ormiston:. The verdict will be delivered by the heart as much as the head, on broad sentiment more than narrow politics. What will become of the May 2015 UK Parliament if Scotland votes “Yes” on independence? Every so often – but not very often – a major theme enters the national debate which nobody noticed much at first, but when attention is drawn to it, it becomes completely obvious. 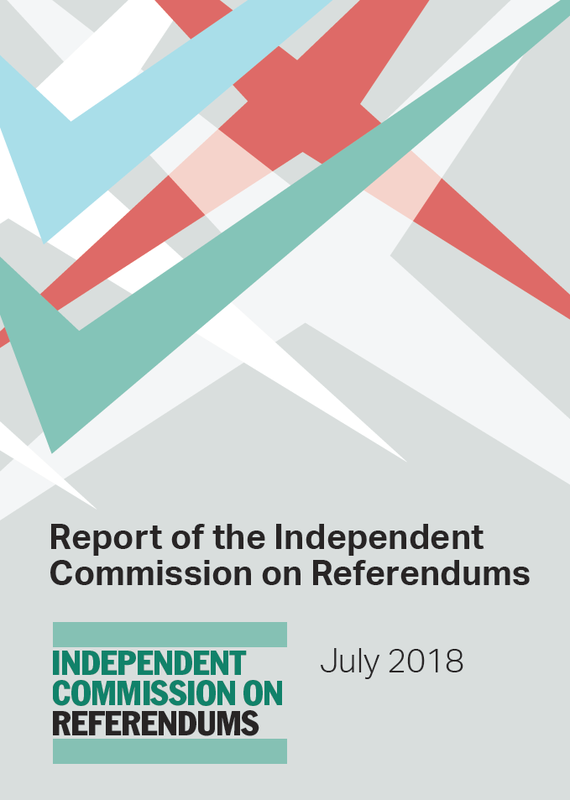 This topic is one such we are pleased to reprint, on how a referendum vote in favour of Scottish independence in September 2014 could greatly complicate the options for transitional UK government up to the general election in May 2015 and even more, the composition and form of the UK government thereafter. The constitutional and political implications could be as fundamental for the reduced UK as for the departing Scotland. The scenario is laid out in the Ballots and Bullets blog of the School of Politics and International Relations in Nottingham University. 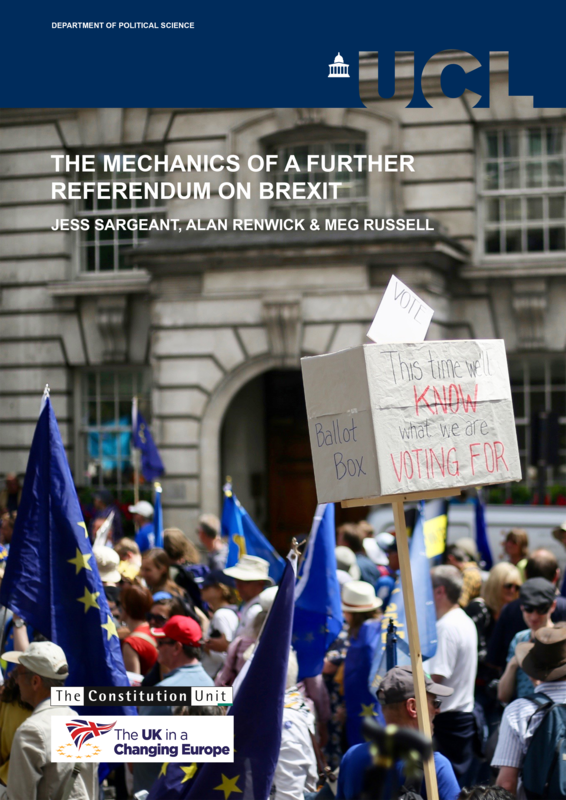 The authors are Prof Ron Johnson of Bristol University, a leading authority on constituency boundaries and consultant on the proposed boundary changes in 2010; the electoral geographer Prof Charles Pattie and David Rossiter, both of Sheffield University. Although opinion polls currently indicate declining support for Scottish independence, 18 months is a very long time in politics. Groups of civil servants are undoubtedly now working in both London and Edinburgh on the myriad issues that would have to be resolved should there be a positive vote in October 2014. Does their agenda include the following scenario? In March 2016, the break-up of the United Kingdom occurs. The House of Commons is now reduced to 591 MPs, with Labour having 290; it no longer has a majority. Labour may go on governing – it would be only just short of a majority and, given that Sinn Féin MPs do not take their seats (and also that there are five of them then, as now), it could well get its business through. Alternatively it may reach an accommodation with one or more other parties – maybe even a LabLib pact (a full coalition is less likely). If at some stage Labour loses a vote of confidence, however, then the procedures set out in the Fixed Terms Parliament Act, 2011, come into play: there may be a premature general election. And if that happens before late 2018, such an election would be held in the current 591 English, Welsh and Northern Irish constituencies – created using electoral data for 2000; following the Lords’ amendment to the Electoral Registration and Administration Act, 2013, the Boundary Commissions do not have to deliver recommendations for 548 new constituencies in those countries until October 2018. Having voted for independence, however, the Scottish electorate may decide to send many more SNP MPs to Westminster in May 2015 – why vote for the parties of the now-rejected Union? Indeed, why vote at all? It is doubtful that Labour could win a majority in England and Wales alone so David Cameron’s hopes of a Conservative majority over Labour and the LibDems in 2015 would be enhanced if very few Scottish MPs were elected to represent those two parties. That might be a bit – perhaps very – messy, at a time when continuity and stability will still be preached as necessary conditions for economic recovery. 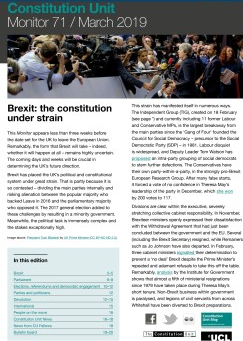 As interesting – and potentially very controversial – will be what happens between October 2014 and March 2016, and especially between May 2015 and the latter date, whichever party (or parties) are in power. The government is already concerned about, and seeking a resolution to, the West Lothian problem: it will be magnified many-fold during that inter-regnum. Once Scotland has voted for independence, what role should Scottish MPs play at Westminster during the following 18 months? Some might argue they should no longer participate – certainly not in its votes, though, of course, they should continue to represent their constituents’ interests that are covered by the transitional UK government (just as Sinn Féin MPs do now). But Scotland will still be a member of the UK and decisions will be taken during those 18 months on which they should have a say: what if the UK government recommends that the country goes to war somewhere in December 2014? Would Scottish MPs agree to vote on a restricted range of issues only? Could agreement be reached on what those issues are? If not, would the government legislate to limit Scottish MPs’ roles in the House of Commons – perhaps with opposition support (the Conservatives, Labour and the Liberal Democrats are all opposed to the break-up of the Union)? And what of the House of Lords. What would happen to the Scottish hereditary peers? The 1800 Act of Union allowed the Irish peers to elect 28 members to the Lords. None were elected post-independence, but also none were required to relinquish their seats, with some remaining members of a ‘foreign’ Parliament until their death, which for one Irish peer was as late as 1961. 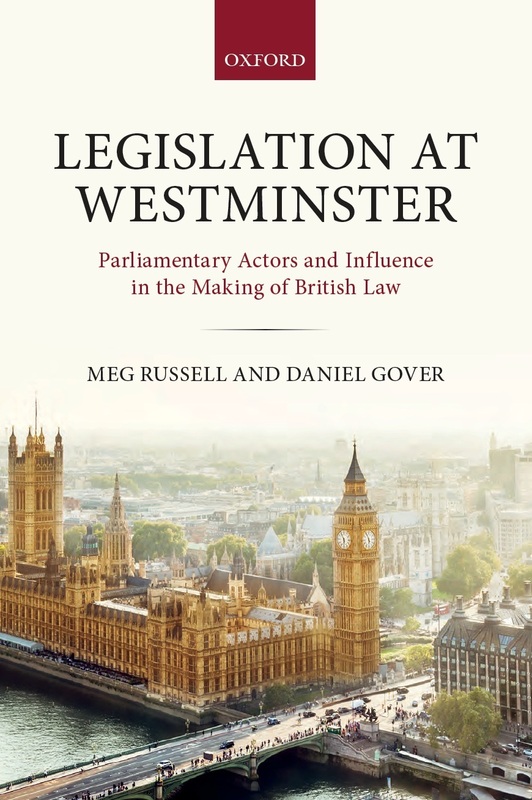 A similar situation occurred after the Act of Union with Scotland in 1707, when the Scottish peers were entitled to elect 16 of their number to sit in the Lords. From then on all new peers were appointed to the Peerage of Great Britain (as were a few peers created after 1922 who took Irish titles). All Scottish peers were entitled to sit in the Lords under the Peerage Act, 1963, and became part of the electorate after most of the hereditaries lost their seats under the House of Lords Act, 1999. There is thus no Scottish hereditary peerage, merely a UK Peerage, and it would presumably be up to those who, post-independence, considered themselves Scottish rather than UK citizens to withdraw from the hereditary electorate. Of course, all peers are now appointed for life, and many of those currently occupying the House of Lords benches have some Scottish links. But could a separate ‘Scottish Life Peerage’ be defined to identify them? On what criteria – residence (first, or second)? Some may self-identify and withdraw but others, like their Irish predecessors, may decide to stay. How could they be removed? Could a generic Act be conceived, or would there have to be a series of ad hoc pieces of legislation? And when it was all settled – it might take some time – would the Prime Minister then replace them with a new tranche to maintain the currently-desired party balance? Uncertainties abound, but governing the UK may be very difficult during the transition period, even if there is good will on all sides. 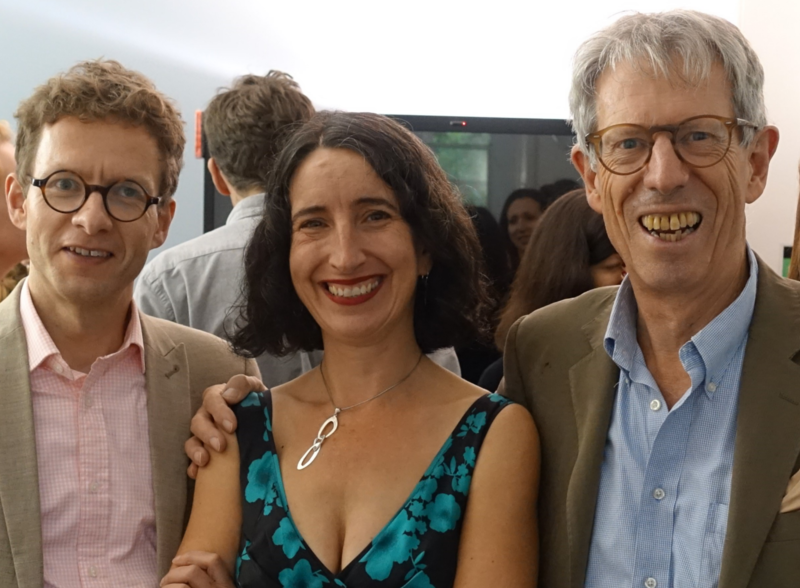 Ron Johnston is Professor of Geography in the School of Geographical Sciences at the University of Bristol, Charles Pattie is Professor of Geography in the Department of Geography at the University of Sheffield, and David Rossiter. The Lord Chief Justice of Northern Ireland Sir Declan Morgan has given a rare TV interview designed to take the heat out of allegations of partiality between unionists and nationalists in granting bail. He is offering to explain the basis of recent decisions to the Justice Committee of the Northern Ireland Assembly and is making himself available to his most prominent critic, the Democratic Unionist First Minister of the powersharing Executive Peter Robinson. The meeting was in fact pre-arranged but will now take on a more urgent character. His private secretary had earlier sent a letter to the Assembly explaining that in bail decisions judges carefully weigh the risks – such as a risk of flight, likelihood of committing further offences, interfering with witnesses and preservation of public order – against the rights of the untried accused. Now the chief justice has widened his response to add the offer of an appearance before Assembly members and a meeting with the First Minister if he still wants one. As a direct response to a running controversy this move is unprecedented and as I’ll argue shortly, carries risks which Morgan himself will be aware of. Even post- Troubles Northern Ireland politics is still largely a zero sum game. In this case unionists are up in arms at bail being denied to two ring leaders of sporadic protests at the decision of Belfast City Council to reduce the number of days for flying the Union Jack above the City Hall. One of them Willie Frazer attracts both sympathy and hostility. Four family members including his father, all of them members of the security forces, were killed by the IRA over 10 years. He is head of a movement called FAIR, Families Acting for Innocent (unionist) families which campaigns for justice for victims of the Troubles but specialises in provocative demonstrations and comments. He was refused bail on March 1. At another hearing when bail was refused to another alleged loyalist agitator Jamie Bryson, the judge hit out against “ill informed debate” about bail decisions. This attracted the comment of “ judicial arrogance “ from a DUP minister. Meanwhile, switching sides, two prominent republicans in south Armagh were granted bail in connection with demonstrations eight years ago in favour of the ( not quite disbanded ) IRA which had been held responsible for the notorious murder of a Belfast man Robert McCartney in 2005. Despite a McCartney family campaign which reached Downing St and the Oval Office, IRA omerta has held. The arrests of the two men Padraic Wilson and Sean Hughes were attacked by Sinn Fein politicians as “ political policing” to counter balance the actions against loyalists. Unionists immediately claimed partiality in deciding bail between republican and loyalists. I accept that there are grounds for interesting speculation about how and why bail has been granted or refused but this has little to do with the judiciary. Why charge Hughes and Wilson with IRA membership and encouraging a proscribed organisation in a demo that happened eight years ago? Is this a real new lead in the MCartney case? It doesn’t feel like it but who can tell at this stage? If there is no fire behind the smoke this might be seen as an unnecessarily provocative move just as the very moment a dissident republican attack had been foiled. Why wait so long to lift the loyalists Frazer and Bryson? That one is easier to speculate about – because it’s better to exploit a lull (if that’s what is it is ) in the flags protest. But we’re unlikely to get straight answers to such questions and certainly not from the judiciary. Answers in some form may emerge from the PSNI and the DPP if charges are proceeded with. Although the judges – and of course the police and the DPP – are now being attacked by both sides, this is not a full blown crisis between the politicians and the criminal justice system. It even represents a sort of progress. Republicans now argue for fair treatment from the criminal justice system rather than rejecting it altogether. What is happening is a symptom of the tensions created by an underlying shift in power between unionism and nationalism as a result of growing nationalist numbers and the implementation of the equality provisions of the Good Friday Agreement. From time to time there is controversy over where fairness lies and the criminal justice system is caught in the middle. In an arid zero sum debate – unionist loss is republican gain or vice versa – the judiciary has boldly moved to assert its good faith and educate the politicians in an impartial justice system which like any other body can make mistakes. The risk the chief justice is taking is that is that he may unwittingly feed an appetite for routine explanations of verdicts and sentences and produce disillusion and even louder complaints when he refuses. This could turn the judiciary into what he and his colleagues greatly fear, a political football. Much hangs on Northern Ireland’s politicians behaving responsibly to prevent the judiciary being sucked into their zero sum game.